Sarah True joined Impact Justice in 2016 with the PREA Resource Center. Sarah has worked with the PRC since 2011 and contributes to many areas of the PRC’s work. Her primary work includes managing the PRC’s PREA auditor training and auditor continuing education programs. Sarah also contributes to the PRC’s audit quality improvement program, auditor support, communications, and training and technical assistance. She is a primary point of contact for auditors in the field seeking assistance with the application of the standards and the audit process. Sarah works from the Washington, DC office and supports DC-based PRC and IJ operations. Prior to joining IJ, Sarah was at the National Council on Crime and Delinquency (NCCD) where she worked on the PREA Resource Center along with a number of projects, including working with sujatha baliga on her restorative justice projects and on the National Task Force on Children Exposed to Violence, where Sarah helped organize and plan task force hearings and listening sessions and helped to write the final report. 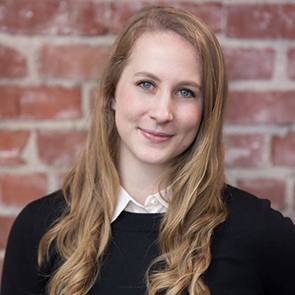 Prior to NCCD, Sarah interned at the W. Haywood Burns Institute in San Francisco, a nonprofit that works to reduce racial disparities in the juvenile justice system. She holds a bachelor’s degree in African American studies from Barnard College in New York City, where she wrote her undergraduate thesis on the effects of US prison privatization on disproportionate minority contact.